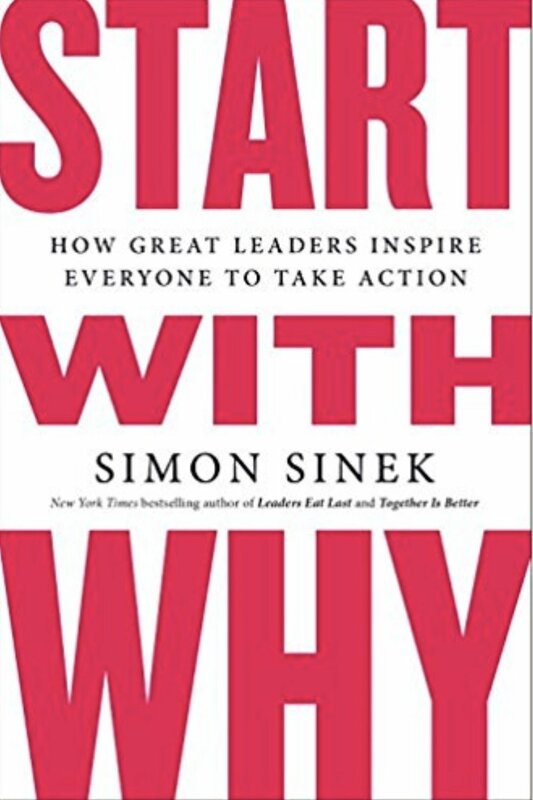 "Start with Why!" We all have heard that one. Simon Sinek made it famous in his book and TED Talk and Stephen Covey also made it indirectly popular in 7 Habits of Highly Effective People in Habit 2 "Begin with the End in Mind". What would this habit mean in relation to Digital Transformation? If you are, for example, the Chief Information Officer (CIO) of a large division within a multinational company and expectations are placed on you to deliver a digital transformation strategy for your division, your starting point is to find the Vision for the division. Not the Digital Transformation Vision, the Vision. If that Vision does not exist in a clear, meaningful and written statement, then you must start by facilitating a collaborative drafting exercise. This is what "Start with Why" means in relation to Digital Transformation. So how does one go about crafting a Vision Statement? There is a lot written on what good corporate visions are. For some, they need to be synergistic maps and corporate theories. I will not go there. I mean to be simple. Actionable. So I will start by addressing my favourite reaction when someone rolls their eyes to the ceiling - or sky - when they are told a vision is needed. They want to shrug it off. Often, they say vision statements are useless. A nice poster in the boardroom, nothing more. If vision statements are useless, they were simply badly developed and inadequate. What is needed is not just a Vision Statement, but one that satisfies specific criteria. Describe the Future. When reading a Vision statement, any reader should be able to imagine what the future would be if that vision is realized. The Vision is a depiction of the future in which interacting with and within the organization is described in meaningful stories (more on stories below). Guide Decision Making. There are bound to be moments when the organization faces branching or tipping points. Go left? Go right? Go forward? A good vision should promote sound decision-making by uniting all toward a common future. Create a Common Goal. The goal, or goals, should be plainly described. If you read the Vision Statement, stop, close your eyes, and you do not know what the goals are, go back to drafting. Inspire Behaviours. I did not write "constrain behaviours," but inspire. A good Vision will inspire people to act optimally and to always get close to realizing the Vision. Emotionally Propel. We think rationally, we act emotionally. Emotions are the stuff of great strides towards better futures. A good Vision statement will emotionally propel people to act and move forward with momentum and velocity. Without emotion and desire to fuel rational thought, a lot of organizations, dare I say governments, unfortunately end up suffering from analysis paralysis. Has this ever happened to you? Connected to Values. The Vision statement is just the first of three companion Statements - Vision, Mission & Values. The Vision must be connected with the Values. Both statements fulfil a different role but they need to be in sync. When you facilitate a definition exercise and craft a Vision Statement that meets the above six criteria, you have established a solid foundation upon which to further craft the Mission Statement. Organizations often choose to present their Mission first. I think this is due to the fact that Missions are shorter statements. However, the logical order of presentation is Vision, Mission, Values, Stories. Whereas the role of the Vision Statement is to depict the destination, the role of the Mission Statement is to describe what will be done to reach that destination. So, even if Mission Statements are often presented first (like in this example of the Canadian Centre for Court Technology), they need to be crafted after a Vision Statement has been firmed up. Mission Statements are ideally factual, to the point and describe services and products offered. Mission Statements that only present desired outcomes are incomplete, in my opinion. I am a fan of starting each paragraph in a Values Statement with "We" just like in the CCCT example provided in this article. Values need to be owned by everyone in the organization. "We" carries a strong message of ownership. When defining and reviewing the Values Statement, it forces everyone to ask themselves "Do I really believe in these values?" They naturally reinforce desired employee behaviours for those who stay. Defining and crafting vision statements should be a half-day or even full-day exercise. It should involve all the leaders and key stakeholders of the organization. There has been so much written on Strategic Management that at some point I yearned for a simple, actionable how-to guide. While I was CEO of the Canadian Centre for Court Technology, my friend Michèle Joanisse recommended this book: "Strategic Planning for Nonprofit Organizations" by Michael Allison and Jude Kaye (see book cover). Even if you do not work in a not-for-profit organization, you will find the practical guidance invaluable. I highly recommend it. The last component I highly recommend are stories. Where "use cases" are grounded in analysis, workflow and rationality, stories encapsulate people-based narratives illustrating actions, decisions and choices that are meaningful in their lives. The best way I found to share the Vision, Mission and Values statements and to create unity and traction aligned with these statements are to share supporting stories. A few years ago, when I listened to Adrian Davis speaking on the power of stories when selling, I was convinced. If you are not able to write people-based, human-centered convincing stories that illustrate a world in which your Vision is realized, I believe you are in high danger of failing to create traction and velocity in realizing this Vision. Vision brings clarity, Mission creates purpose, Values align behaviours, Stories fuel inspiration. You need all four. When you have all four, you can think about Digital Transformation Strategic Planning, a topic for a next post.